> News Product News Lights Camera Action! Did you know that C-TEC has released a new series of videos aimed at raising awareness of hearing loops? 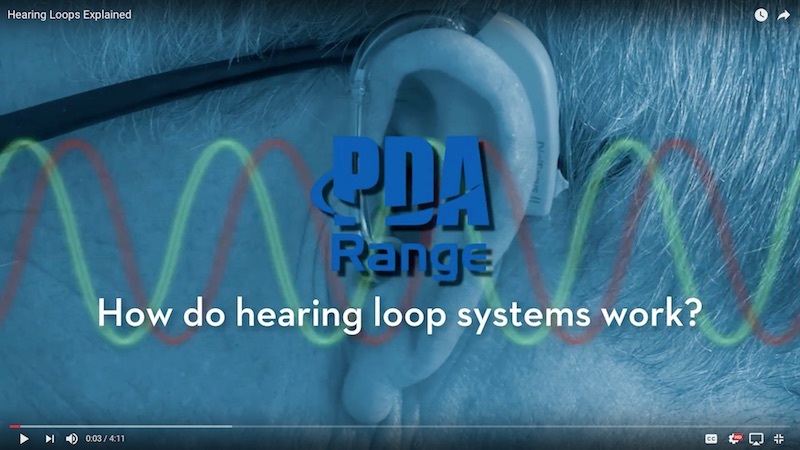 First up is “Hearing Loops Explained”, an excellent 4-minute overview of why hearing loops are used, how they work and how they can potentially transform the everyday lives of the hearing impaired. We’ve also created two exciting new videos about phased array systems. The first, “What is a Phased Array Hearing Loop System”, explains why such systems are used in buildings with a high metal content or in arts venues, theatres and music rooms, where minimal overspill and consistent coverage throughout is essential. The second, ‘How to Install a Phased Array Hearing Loop System’, stars our charismatic hearing loop expert, Tremayne Crossley, who demonstrates how he would typically install a floor level phased array system. Requires no specialist audio experience or connectors - can be fitted by any competent electrician. Space-saving double-gang wall-mounting amplifier fits standard UK 25mm back boxes (requires fixed mains wiring). Omni-directional AMT microphone (supplied) plugs directly into the 3.5mm socket on the amplifier’s front. Line/outreach socket also provided (max 3 outreach plates per system). User-adjustable mic. sensitivity and engineer-adjustable loop drive and input level controls. A dual induction loop amplifier designed to simplify the installation of a ‘phased array’ induction loop system in areas up to 200m2.